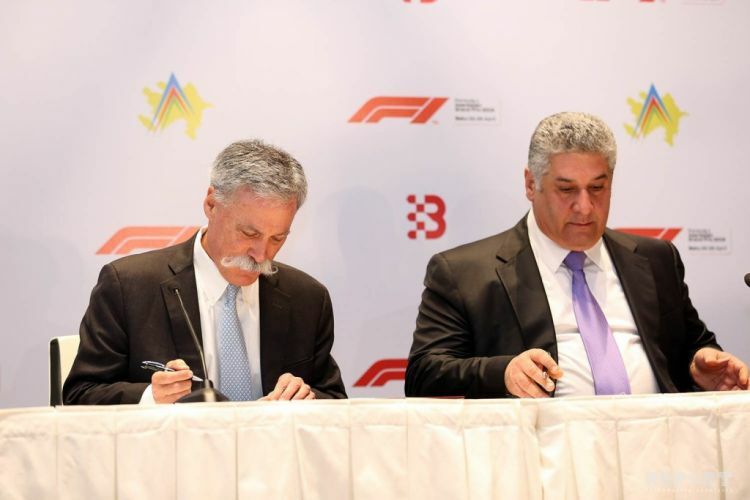 Today, Baku City Circuit and Formula One Group of Companies have signed a new agreement to extend the duration of the Grand Prix of Azerbaijan. Eurasia Diary writes citing to Report.az that Youth and Sports Minister Azad Rahimov informed at the event. According to him, the term of the new contract is scheduled for 2023. The previous agreement was up to 2020. Later, an official agreement was signed between the parties. The contract was signed by Azad Rahimov, CEO of Formula 1 Group, Chase Carey.